Alcudia is a beautiful beach town in the north of Mallorca, combining both modern and traditional architecture, it has an energetic night life. The town is famous for it’s ‘photo opportunity’, the wooden pier leading out to sea. This lovely villa is located only a few metres from the beach in Puerto Alcudia and stands in a garden of 623m2 with the possibility to create a swimming pool and partial sea view from the terrace. 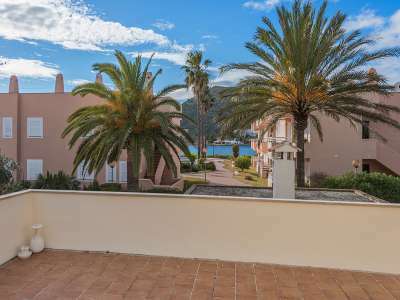 This gorgeous apartment is located in the best beach area of Puerto Alcudia, with outstanding sea views; famous for its white sand and turquoise water, the beach definitely has a Caribbean touch.